Local favourites the Zolas played mid-afternoon on the Saturday (September 17) main stage, getting the crowd moving and drying off after rainstorms put a damper on the earlier parts of the day. 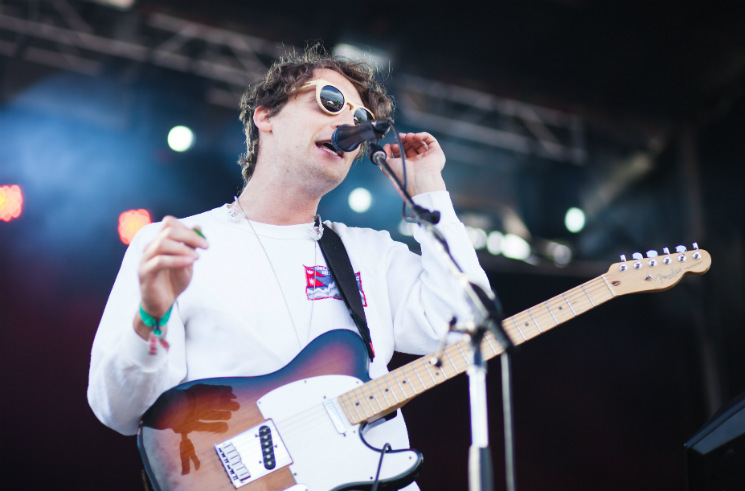 Charismatic, eclectic and whimsical, the Zolas' MOR indie-pop set did the job everyone needed it to do — be that harmless, fun set that puts everyone in a good mood for the long night of festival debauchery ahead. Many people knew the songs and sung along in the choruses, which made for a nice sense of camaraderie. Lead singer Zachary Gray had a certain hilarious air about him that was fun to watch even when the rest of the band seemed to sleepily weave in and out of some disorganized bits in their fairly plain set. Often switching sunglasses with his bandmates, dancing down into the photo pit and back and making weird jokes, his carefree anonymity lent well to the likeable music, reminding us to loosen up and dance already.